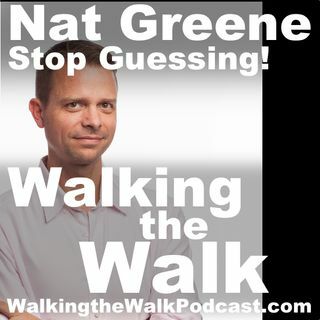 009 Nat Greene –– STOP GUESSING! Nat Greene is the author of a powerful new book: Stop Guessing: The 9 Behaviors of Great Problem Solvers. Author Nat Greene has spent over 20 years solving hard problems, and developing and leading great problem-solvers. In this time he has found that great problem‐solvers consistently exhibit certain behaviors when solving hard problems. In Stop Guessing, you will learn what the behaviors are, why they’re so important to success, and how to begin adopting them. Learn more about Nat ... See More and Stop Guessing at StopGuessingBook.com!